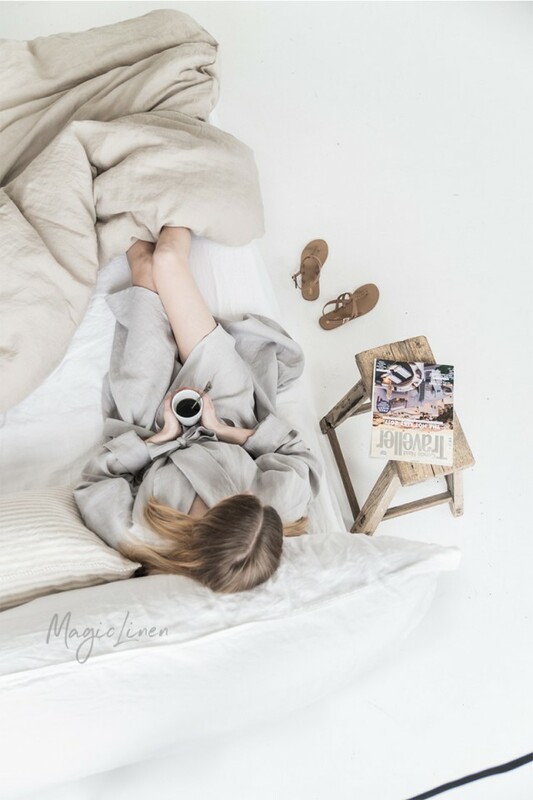 Linen bath robe available in six colors: white, light gray, natural linen, woodrose, salmon pink, and gray blue. 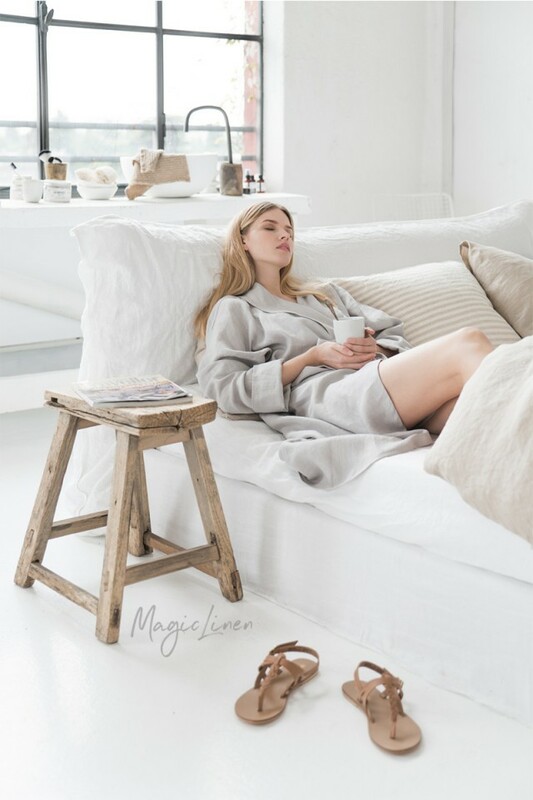 Relax and unwind in a comfortable, soft, and lightweight linen bath robe. Designed to have a loose fit, it can be cinched at the waist with a tie. Long sleeves can be rolled up to form ¾ sleeves. 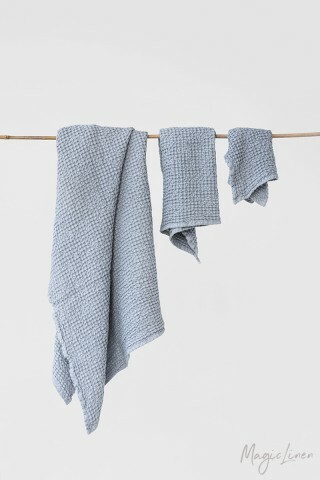 Highly breathable and absorbent, it’s an irreplaceable bath accessory.